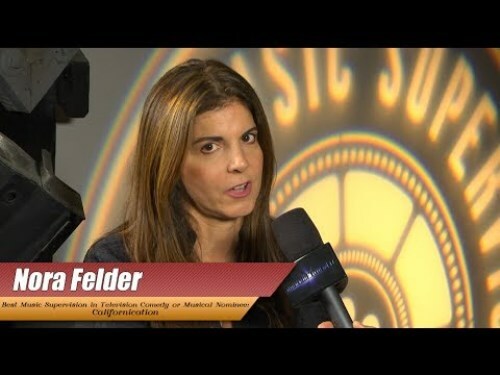 NORA FELDER’s start in music began booking artist showcases/events at a New York City downtown club with artists ranging from the Cure to INXS. Later working as VP of production for veteran music producer, Phil Ramone, Nora oversaw recording projects for artists ranging from Paul Simon, Sinead O'connor, Billy Joel to Iggy Pop. Entering the world of music supervision, Nora landed her first film project on the forever classic Romy & Michele's High School Reunion". From there she continued to work on many films and soundtrack albums, as well as served as music consultant for studios such as Disney Touchstone Pictures and Overture Films. In the television world, she is finishing the 7th season of the Showtime Hit Series Californication, and just released a soundtrack which will feature a previously unreleased remix of Pete Townsend’s hit “Let My Love Open The Door” owned and approved by Townsend himself as exclusive release for the show. Other TV series include CBS’s 3rd season of Unforgettable, 3 seasons of USA’s Necessary Roughness, and NBC’s upcoming new series “The Night Shift airing in this summer. At the Hollywood Music in Media Awards, Nora has received 3 nominations and 1 win for Best Music Supervision for Californication and has also garnered 4 nominations from the prestigious Guild of Music Supervisors. Nora deltager i seminaret ”Music Supervisors At Work”, der finder sted på Radisson, fredag d. 2. maj, 13:30, og til ”Meet The Music Supervisors”-speed-meetings. Sidstnævnte er i øvrigt helt lukket nu!! Tjek tilmelding til "Music Supervisors At Work" her! ”Music Supervisors At Work” er arrangeret af Promus med støtte fra Statens Kunstfond og Dansk Musikforlæggerforening, og med hjælp fra Manfred Zähringer/Iceberg Music Group, Nis Bøgvad/Music Sales og Sanne Abildgaard Rud/Crunchy Tunes.